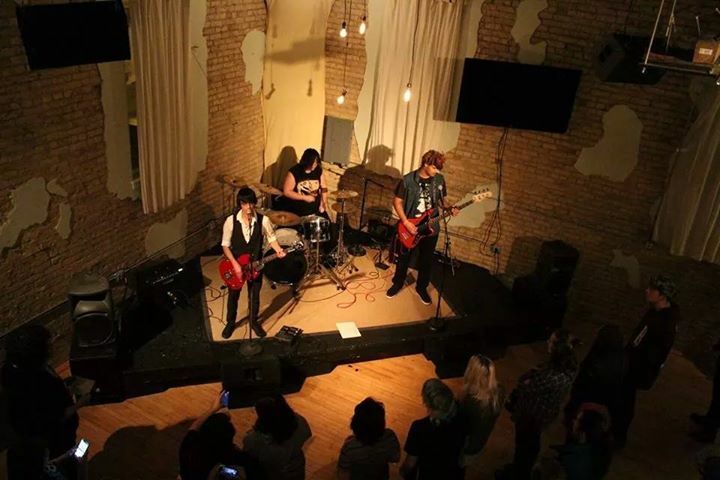 Local punk-rock band Strongly Disagree is currently made up of lead vocalist and guitarist Ben Clemas and drummer Jon LaBore. Just recently, Strongly Disagree has gone through a member change and is on the search for a new bassist. A few days ago, GMN was able to hang out with this local punk-rock band and ask them a few questions about the process of changing members, including how to find and chose possible contenders, potential difficulties that may arise and more. GMN: Technology and social media has become a central piece of our culture. Do you find that online advertising or playing live shows and in-person promotion is more effective for acquiring new fans? Jon: I feel the social media expands your opportunities. With Facebook, Twitter and all those other medias, it’s a lot easier for people in other states, or even countries to find your music. If it wasn’t for social media, a lot of bands wouldn’t have really made it. Hollywood Undead blew up because of Myspace. It gives you a chance to expand faster. What resources have you used to seek out talented musicians and what criteria do you look for in order to see if they would be a good fit for your band? Jon: We’ve actually used Facebook and other media. Not only do they promote our shows, music, and ideas, but the medias can also help you find a place to record or even a new member. We just wanna find someone who’s in it for the music, and isn’t afraid to get down and dirty on stage, give it their all and be half dead at the end of the show. We want someone who can make our fans’ live experience worth it and make people who haven’t seen us come see us again. Once you have found some possible candidates for a specific role in your band, what audition process do you have them go through? Ben: Well, when we started this band we were all together already so we haven’t auditioned permanent members. We won’t be auditioning permanent member positions at the moment, but for determining positions for live members, we just look for people who will quickly learn and play the material and have fun. Obviously we have to get along with them to a degree but we wouldn’t be seeing them as often as permanent band mates. Not to sound offensive, but we also would like the live members to stay out of the creative process between Jon and I. We are musical soul mates and while the both of us enjoy the diversity of working with other musicians, we’d like to keep Strongly Disagree between the two of us when it comes to the science behind the art. How have you overcome any setbacks that have come up while searching for a new bassist? If you could change anything about how you’ve handled the process of switching members, what would it be and why? Jon: The biggest setback has been if we want Tori, our old bassist, back or if we just want a show/touring bassist and guitarist. I’d honestly change the way we approached the new people. I feel we’re too new into the scene and that we have to have more time to grow. We’ve done a lot of things in these 2 years, and were not gonna give up. Look forward to seeing us on the top soon. But for now we need to write the best album we can and find someone who loves the music as much as we do. Having experienced the difficulties of being a new, unknown band at the beginning of your music careers, what tips do you have for any recently established bands that are looking to book gigs and promote their band? Ben: I don’t really handle any social engagements regarding bookings so this is more of a Jon question. The only thing I have to say is when you’re working on a song, make sure it fits your definition of perfect. Let your heart bend that definition as it feels fit but do not rush to get things done and sacrifice the soul behind the work. That’s the kind of music people want to listen to.